New and original games, dreamt up in France, made in Europe. Most of these games are all classics, updated by Pirouette Cacahouète ! Pirouette Cacahouète presents "my funny Memos, the Tree and its Leaf" ! 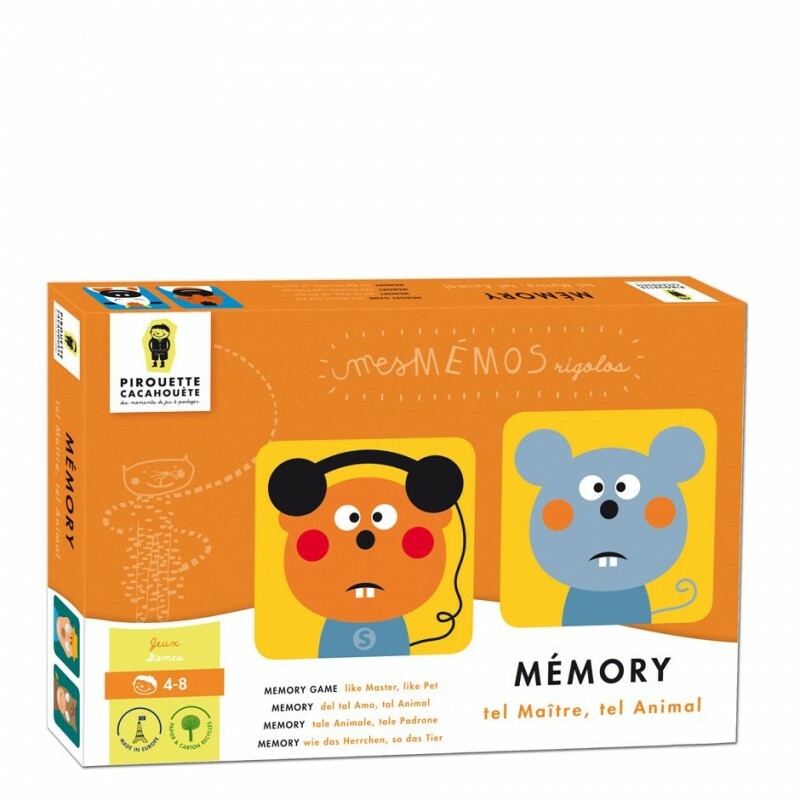 A memory game that helps kids to utilise observation skills and develop knowledge about nature. 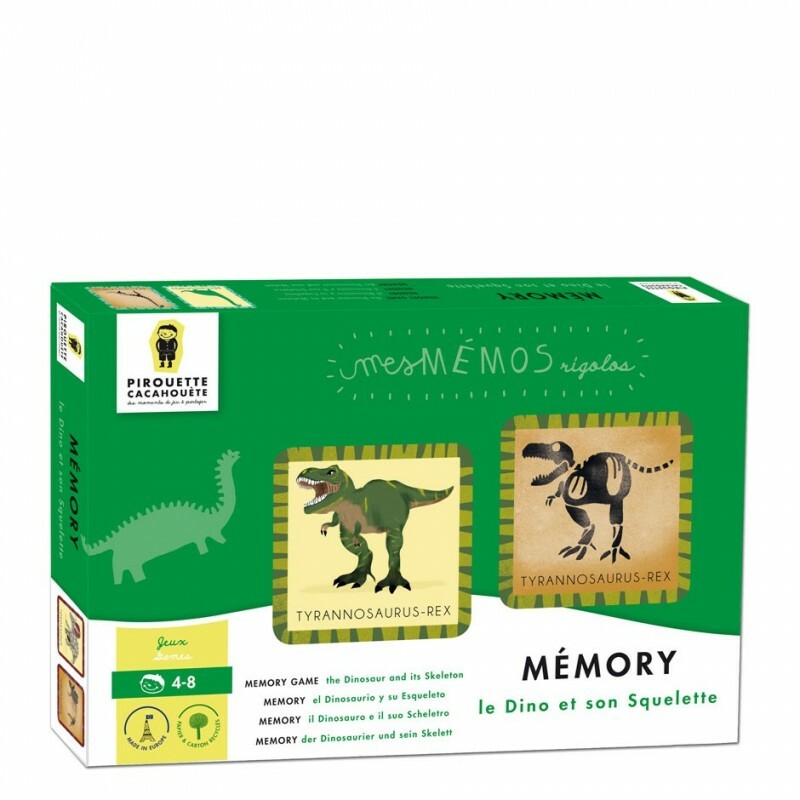 Pirouette Cacahouète introduces "my funny Memos, the Dinosaur and its Skeleton" ! Just like an archaelogist, go on a discovery to find the dinosaur and it's skeleton by finding the matching pairs !Searching for the matching pairs back in the Jurassic period, will develop the memory and observation skills. Pirouette Cacahouète introduces "like Master, like Pet" ! The pet often looks like his owner, or vice versa... Who will be the first one to pair them up ?A matching picture game that develops the memory and teaches observation skills. Pirouette Cacahouète introduces "my back in time Puzzle - back to the Middle-Ages" ! A poster that represents a present-day scene, showing a tourist attraction of a Fortified Castle. Every puzzle piece is put on the poster, and transposes this contemporary scene back to the time where there were knights and princesses...A revolutionary puzzle concept ! Pirouette Cacahouète introduces "my time travel Puzzle, back to the Jurassic period" ! By starting off with a poster representing an archeological excavation scene, and by placing on top puzzle pieces that represent the same scene but in a dinosaur era, time travel does become possible.A puzzle game with an original concept !